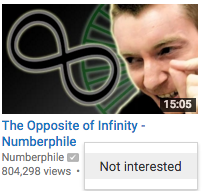 Every time I navigate to youtube.com it recommends videos and channels that I might be interested in or want to see. I just don't want that annoying stuff to appear and distract me from my actual intentions. The weird thing is, I don't use any of these. I am not logged in to a user account and I am clearing the cookies and the cache every time my browser closes (I use Firefox). None of these things helped. YouTube.com seems to remember me every single time no matter what browser or PC I use or what IP from I connect. Is there any thing I've missed? How does YouTube remember "me"? I am using quotation marks because "me" could be anyone using my internet connection (family, friends, etc.). And because of that I don't want a solution that involves installing custom 'blocker' or 'remover' software. I suppose you're trying to get rid of this? You cannot remove it for everyone that connects to your network and browses YouTube on their device (smartphone, notebook, etc. 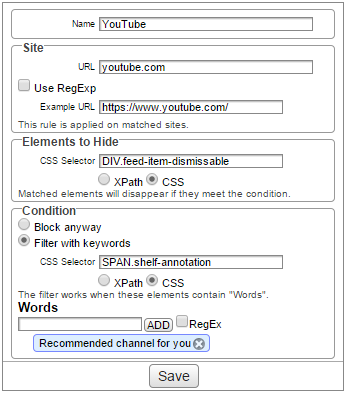 ), but you can prevent the recommended channels section from your showing up on your computer and web browser. There's a caveat though. I found out that this filter didn't work with AdBlock enabled so maybe tweak it a little to suit your needs. Firefox, cache clears every time I turn it off. YouTube still remembers my watch history after weeks, while never logged in, or having open Google account. 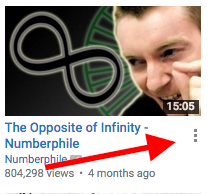 Solution (possible): at bottom of YouTube page, 'History' button. While it suggested that I be logged in for search and watch histories to appear, selecting 'clear history' on both, then returning to home page. Suggestions and history are gone, replaced by usual popular media. I know you specifically asked for a solution that does not involve a blocker. I think you have to give up on the idea that YouTube will provide a way for you (however obscure) to disable pushing their 'recommended' content. It is in their best interest to get you to watch as much crap as possible. Of course, it might be necessary to modify the specific text that is being searched for. At the bottom of the YouTube homepage there are options like Country, Restricted mode, history. 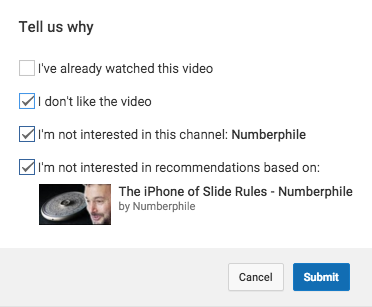 Just select restricted mode ON so that at least you may be able to hide some of the unwanted videos that you have watched so far the next time you visit YouTube. You can do this after you sign in. There is a solution which doesn't require any additional software. If you do it a number of times for different recommended videos about a certain topic, let's say cats, then YouTube/Google will start to see the pattern that you dislike cats very much. As a result you should see fewer recommendations of popular cat videos. If you cleared everything (cookies, sessions, offline data) from browser side then the only thing that youtube knows is your ip. Through that maybe it makes recommendations based on your location and what other users near you watch on youtube. This just an assumption, but you can test it with a proxy server. Did you try using the addons "Adblock Plus" and the "Element Hiding Helper for Adblock Plus"? They're both created by Wladimir Palant. I know they're available for Firefox, probably for other browsers too. With those you "Select an element to hide (Ctrl+Shift+F3)" then click the offending element you don't like, then "Add element hiding rule" and it's gone. It is possible (easy even) to end up hiding things you would really like to see, but with a more customized rule (of which I can not help create) it may work well. But for any webpage elements you don't want to see, this will hide them. Besides, even if you deleted your cookies regularly, hourly, or after 10 seconds (Self Destructing Cookies) youtube would probably still be showing you something "recommended", even if it's random videos. And youtube (& google) can keep track of everyone by their house/router/building/company's IP address anyway. Login with your ID and Password and Scroll down at the bottom and Click on History button where you will find two options Watch history and Search history. Tap on Clear all watch history to remove recommended videos permanently. Now, Tap on Search History option and Click on clear all search history. This will clear complete search history of your YouTube account. After this just refresh your page. Disclosure: I'm the author of the linked article. 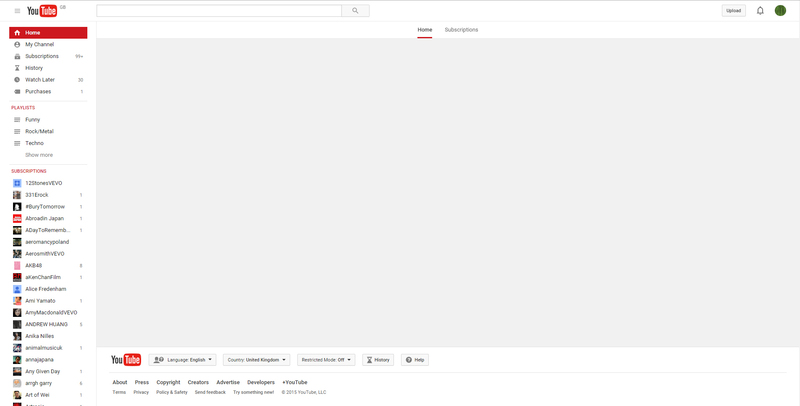 Use AdBlocker it's safe and easy to use and this is how my YouTube main page looks empty and clean! Just install AdBlock then click mouse right button somewhere in the middle of your home/main page then you will see AdBlocker icon move your cursor to that icon and you will see "block this ad", move the slider to the right until you are going to get desirable result then click "looks good", it will most likely show you that it had found similar stuff so confirm again and you are done, type in search bar whatever you want and then searched items will pop up, and going back to home page will keep recommended videos hidden! How can I preserve my bandwidth by getting only the audio? Google+ link for YouTube channel creates 2 channels? How to set a default video quality on all YouTube videos?